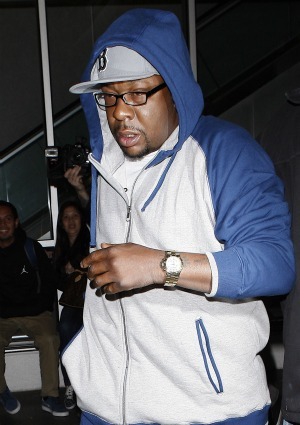 Bobby Brown has been arrested for suspicion of DUI in Los Angeles. Is his grief over Whitney Houston’s death driving him to the edge? How is Bobby Brown dealing with the death of his ex-wife Whitney Houston? He is drinking his way through the pain, apparently. The singer was just arrested on suspicion of driving under the influence in Reseda, California, and get this: it was noon. Brown was initially pulled over for talking on his cell phone while driving, which is illegal in the state of California without a hands-free setup. The California highway patrol officer then gave Brown a field sobriety test after observing signs that all was not well, and the singer failed. “We observed intoxication once Mr. Brown was pulled over,” officer Tiana Reed told RadarOnline. Brown, 43, has since been released from the Van Nuys police station jail confirmed a Los Angeles police department spokesperson. His blood alcohol content and what he was allegedly drinking have not been released. The arrest comes just days after the coroner announced that Whitney Houston died with cocaine in her system — a drug many believe Brown introduced the icon to during their tumultuous 14-year marriage. Brown’s lengthy arrest record includes a 1996 DUI conviction in Georgia, for which he served eight days in jail. The couple’s daughter Bobbi Kristina Brown has not yet commented on the arrest.